Имате въпрос към Cocotero Resort The Hidden Village by Costa Lanta? Удобно проектиран като за бизнесмени така и за почиващи туристи, Cocotero Resort The Hidden Village by Costa Lanta е идеално разположен в Клонг Дао Бийч - една от най-посещаваните части на града. Хотелът не е далеч от центъра на града - намира се само на 3 km от него, а до летището се стига за около 160 минути. С удобното си местоположение хотелът предлага лесен достъп до всички градски забележителности, които задължително трябва да се видят. В Cocotero Resort The Hidden Village by Costa Lanta отличното обслужване и достъпните съоръжения допринасят за Вашия незабравим престой. За удобството и комфорта на гостите хотелът осигурява ежедневно почистване, магазин за подаръци/сувенири, таксиметрови услуги, съхраняване на багаж, Wi-Fi връзка в общите части. Гостите на хотела могат да изберат една от 21 стаи, в които се усеща атмосферата на спокойствие и хармония. Пълният списък от съоръжения за отдих е достъпен в хотела и включва открит басейн, масаж, градина, водни спортове (немоторизирани). С перфектното си местоположение и несравними удобства, Cocotero Resort The Hidden Village by Costa Lanta е един чудесен избор в много отношения. Strong recommended. It is exactly what I imagined about the bamboo room. We booked 2 twin rooms and it's clean and comfortable. The staffs are very nice and helpful. Stayed there 2 nights, the only thing that bothers my family was the mosquitos. Cannot stay outside too long. I loved the location of Cocotero! Just a short bike ride or scooter from the beach and main strip but far enough away that there was little to no noise when we were ready to sleep. The turn down service performed on the room was awesome and the front desk was really helpful. It would have been nice if there was a small menu or restaurant available on site and maybe a place to lounge in the sun. Amazing little hide away. Peaceful location surrounded by the sounds of nature! Friendly, helpful, non- obtrusive staff. I loved it! Perfect place for an escape. Nice bungalows. Smily staff. Felt a kind of authentic touch in staying at Cocotero. Beautiful sorroundings and peace. I miss a refrigirator though to keep food and drinks cold in the heat. Definitely worth a staying. Upscale bamboo hut experience! Although we didn't have great ocean views, as we did on some of the other islands, Cocotero has a very nice, relaxing resort feel, staff are very friendly and the area is quiet and peaceful. Best part of our stay in Koh Lanta was the food at the restaurants near Cocotero (la Maladee and Lanta cafe). No complaints about our stay, although should be noted that Cocotero is a bit removed from the city center/pier area and there isn't much within walking distance. 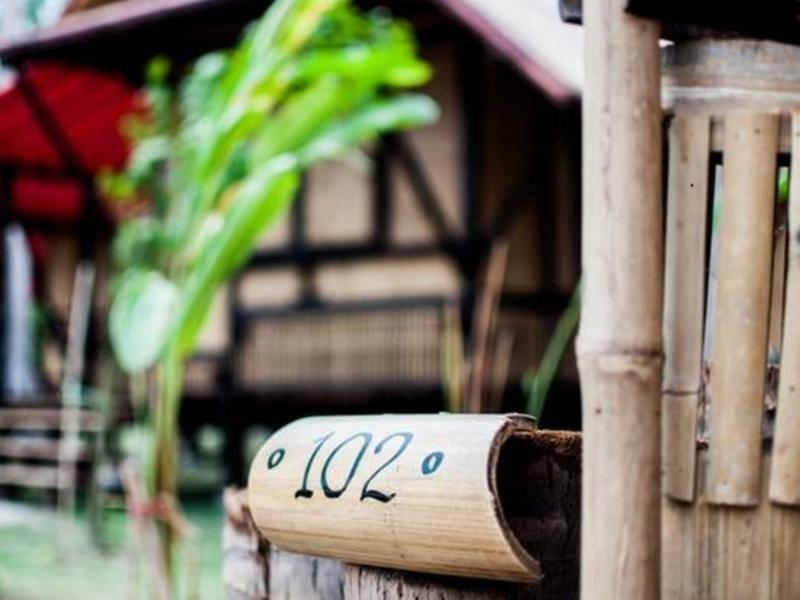 We really enjoyed our stay at the hotel because of the cozy little bamboo huts which are a great and individual way to spend a few relaxing days. The staff is friendly and very helpful and the whole hotel is quiet and clean. Unfortunately there are a few downsides too: the only way to the beautiful beach is either a 10 minute walk around a few blocks or includes a shortcut through other hotels The internet connection is ridiculously slow. Ah nice quiet and relaxed low key resort in a beautiful garden. the staf was very friendley and helpfull, i lost my phone there and they send it To my hotel in Bangkok. We were very happy at Cocotero, but it's important travelers should know what to expect. It's a different kind of place. So no TV. no minibar. no big breakfast, no special wardrobes. Just what you need. All the essentials works fine: shower, internet. All very clean and well groomed. 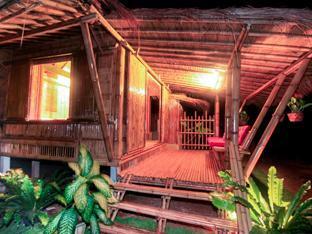 And staying in a bamboo house on stilts works fine! The ladies at the desk are also very efficient and helpful. They'' fix you up with a moped, so you get around the island and the beaches. And this is great base to come back to. Cocotero is our stand out favorite hotel we've stayed at in our month long journey. 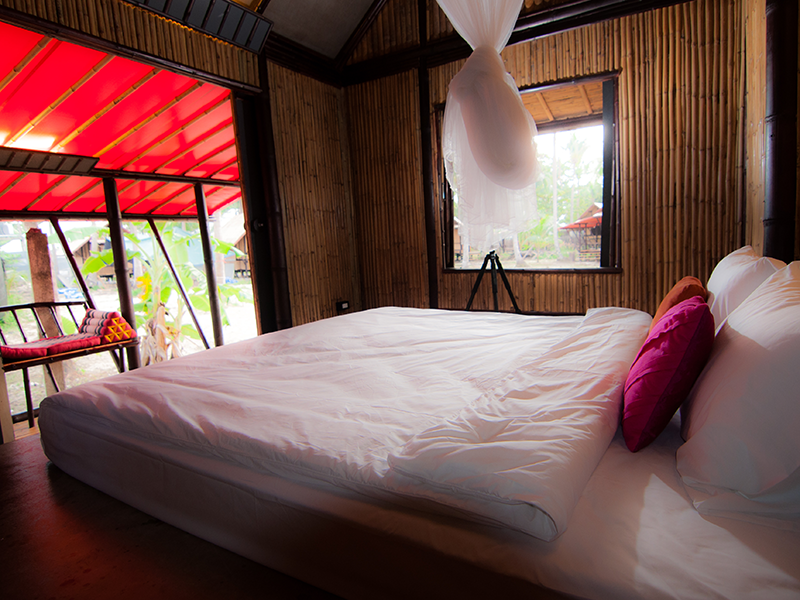 The bungalows are private and relaxing, the decor is modern and clean. The beds were comfortable and easy to oversleep in, the oversized shower head was wonderful. The turn down service of adjusting your mosquito netting is adorable. Can't say this enoug...the whole staff team is impeccable!!! We actually ran into many problems staying on the island. We had a small accident with our rental scooter, the front desk talked to the rental place and we weren't charged anything for the damage. They were just relieved that we weren't hurt worse. We dropped laundry off at a local shop to be washed, however, the owner never gave our clothes to us at the time promised. We missed our ferry and our flight waiting on this laundry lady. The staff helped us find the clothing, in various states all over the laundry shop's back yard, the shop owner had left town for three days. The hotel staff helped us with damage control and to get ourselves back on the road to Bangkok. They were truly a diamond in the rough and we are so grateful to them.